At age 60 my vintage Necchi sewing machine (the Italian version of Singer) has announced that she is ready to retire. 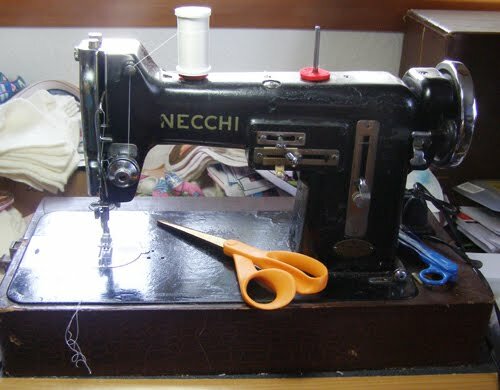 I originally bought her from a sewing machine repair shop 30 years ago (yes, I was 7 at the time--ha!). The original owner in 1951 was a Mrs. Buster of Sacramento, as her name is neatly penciled into the instruction manual. Old Necchi, as I affectionately call her, has been a workhorse--solidly built with METAL everything (not a plastic part to be found) . But lately she's been screeching and groaning and says she wants to drink pina coladas on a sandy beach somewhere instead of working so hard. HELP ME! In the 30 years since I last purchased a sewing machine, things have changed a tad. 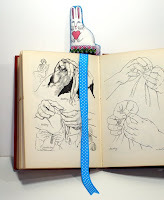 HAVE YOU SEEN what SEWING MACHINES can DO now? I just need something basic, that is durable and reliable, and not TOO complicated and for under $300 if possible. Any suggestions? Singer, White, Brother, other? I'd appreciate any suggestions or recommendations you might have--please leave them in the comments section. Don't delay--neuter or spay! Don't wind up like this Cat Lady who delayed having her she-kitty spayed. These kittens will be adorable for a few weeks until it's time to find homes for them. And, if they in turn are not neutered or spayed, the problem becomes exponential . Yesterday was Spay Day USA sponsored by the Humane Society of the United States ; a day to raise awareness about pet overpopulation and to help you become a part of the solution. Spay Day may be over, but there is still time (2 days) to enter your pet's photo in their photo contest. And there are still 364 days to take action! Visit the Humane Society website today to learn about local events, low-cost spay clinics, trap-neuter-release programs for feral cats, and other great information. The Great Backyard Bird Count has come to a close and Ana Marie has turned in her lists. 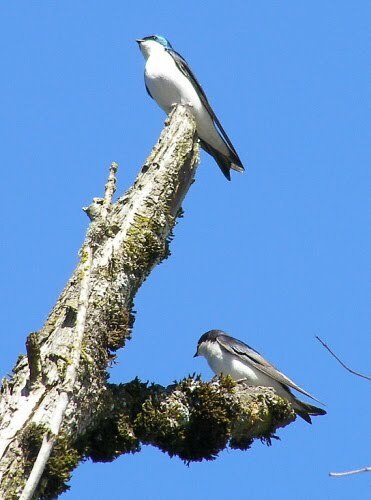 Mario couldn't decide which he liked better: the tiny chestnut-backed chickadee... ...or the beautiful tree swallows with their iridescent blue feathers. 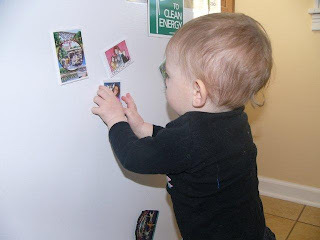 Customer appreciation photo: Junior Feline-Fella-In-Training Jonas helps to arrange Grandma Carm's 'fridge art-- "The magnets are great for small muscle coordination!" says Carm. The magnets feature the custom portraits of Carm's 8GR8Cats and her sister's cat family. 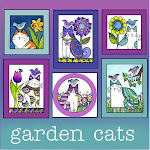 You can see lots more of Jonas and his favorite kitties on Grandma's blog. CCL Carm also received great news last week: I Can Has Cheezburger just wrapped up their first ever lolcat daily calendar for 2012 and Carm's kitten photo of Pride from The Itteh Bitteh Book of Kittehs was included! It's scheduled for a July 15th, 2011 release. Congratulations Carm!! The Terrific Two Turn Two! Many Happy Returns to birthday girrrrrls Keely and Fiona. 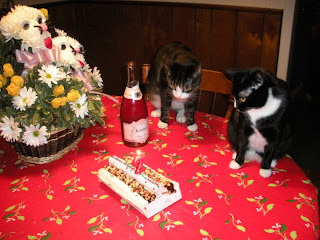 Look closely and you'll see a candle in the shape of a 2 on their birthday treat, courtesy of Cat Mom Alison (CCL #333). One of the honored guests in attendance at the birthday bash was Feline Fella Colin (brother to Cat Lady Alison). Alison reports: "Keely simply has to be in Colin's arms- she is totally in love with him... They have a morning ritual and a coming home from work one. She is all over him and sits in his lap and nips at him and spins around and rubs against his face and repeat, repeat." One World One Heart has come to an end, and with the help of a random number generator, three winners have been chosen for my giveaway. Thank you to the hundreds of blog writers and readers who visited my blog and left such heart-warming comments! 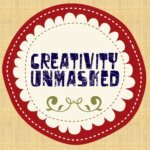 is the crafty Heidi, aka "Digital Misfit" of Canada whose blog is My Hiding Place In Cyberspace. 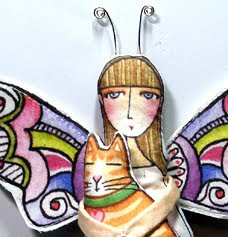 She enjoys "everything from doll making to mixed media art, hand embroidery to polymer clay. I love it all! 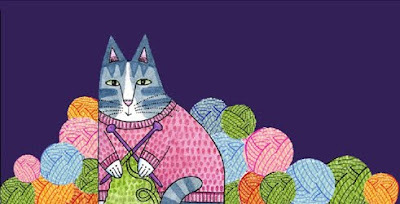 This year I plan to take up crochet (I am DETERMINED to learn) , purse making, and small scale quilting. 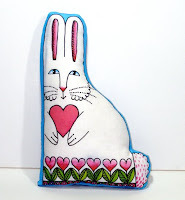 My current main crafts include felt, embroidery and embroidery design, and painting." is Cherry of Georgia. Her blog is The Thoughts of Cherry Jane. 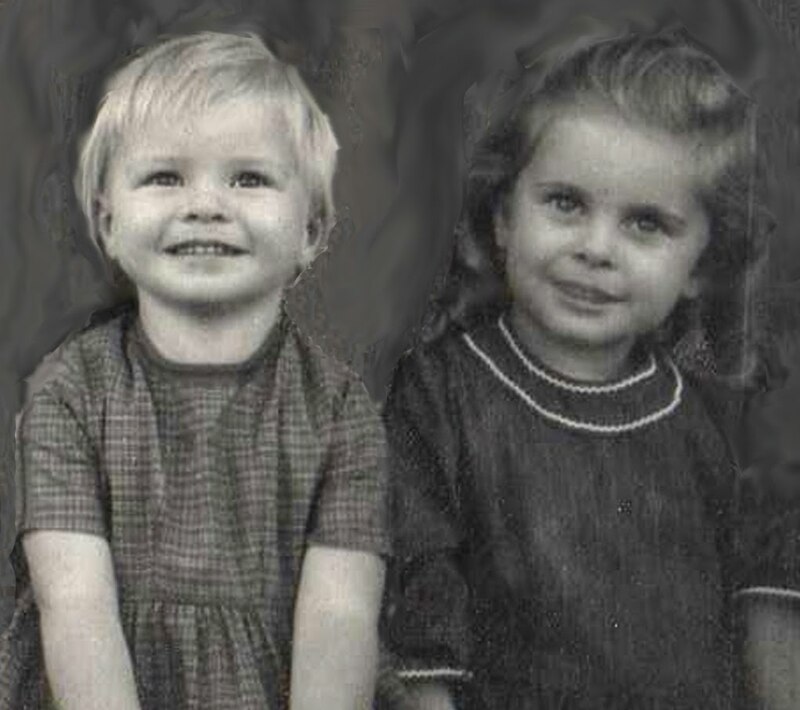 A happy memory that she shares is "sitting out on the old wooden front porch of my Grandfather's house and listening to his Kentucky influenced, Georgia Blue Grass, Back Mountain Baptist, Hoedown Revival Banjo playing and Back yard singing". Congratulations to all and thanks for participating!! 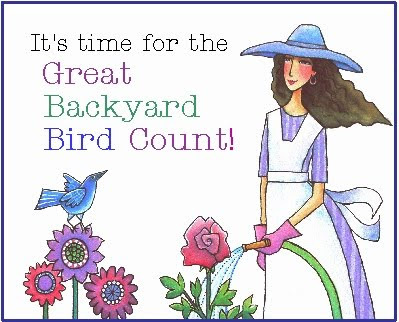 Garden Keeper Ana Marie has the bird feeders filled and binoculars dusted off, but she's not quite ready for the Great Backyard Bird Count, which starts tomorrow. 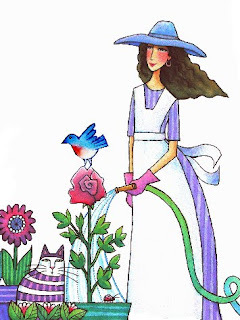 It seems she is also a Cat Lady and has some furry friends who yearn to interact with her feathered friends. But Ana Marie is ready. Armed with her garden hose, a gentle shower is directed at Mario's head. In shock and disbelief, he quickly retreats to a sunny spot on the porch to admire the bluebird from afar while meticulously licking that nasty wet stuff from of his beautiful stripes . 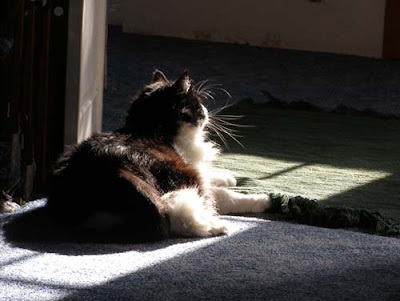 -Keep cats indoors as much as possible, especially during times when bird activity is high--especially in the mornings and late afternoons when they feed. -Put collars with jingle bells on the cats. 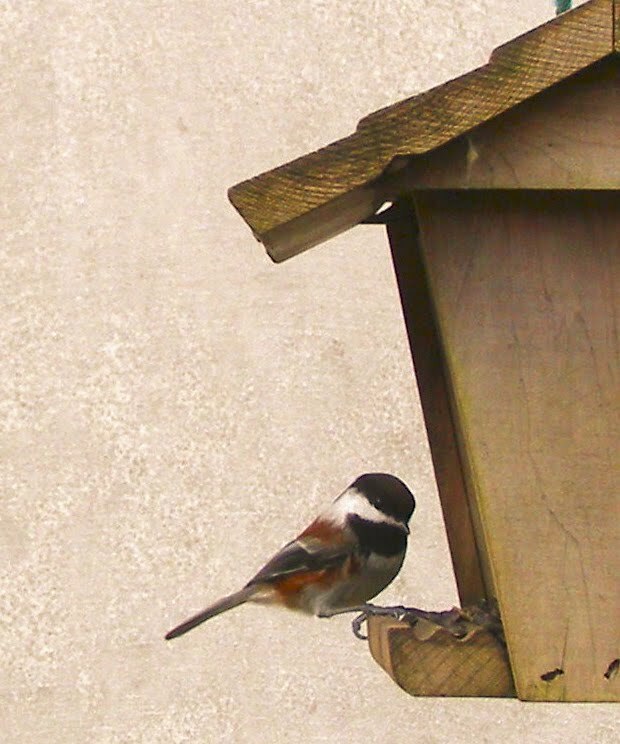 -Keep bird feeders high (higher than a cat could jump) and buy feeders that prevent spillage on the ground. 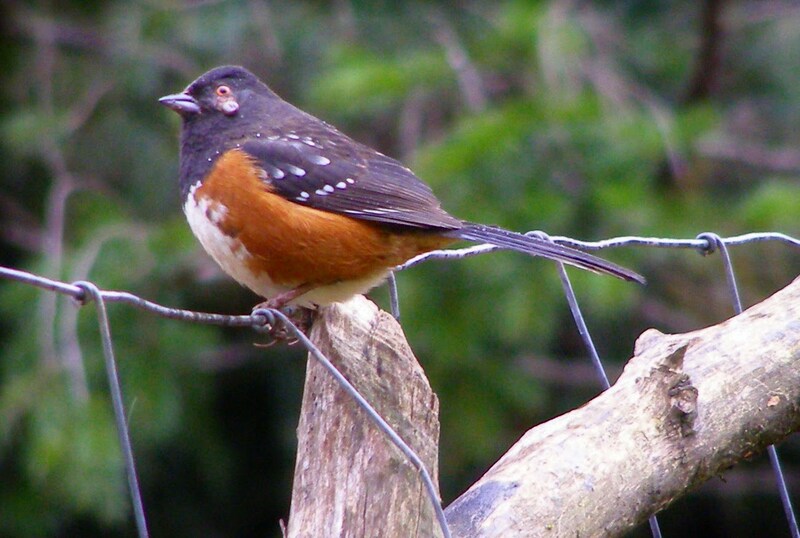 Do not place feeders near bushes or other hiding places where predators might lurk. 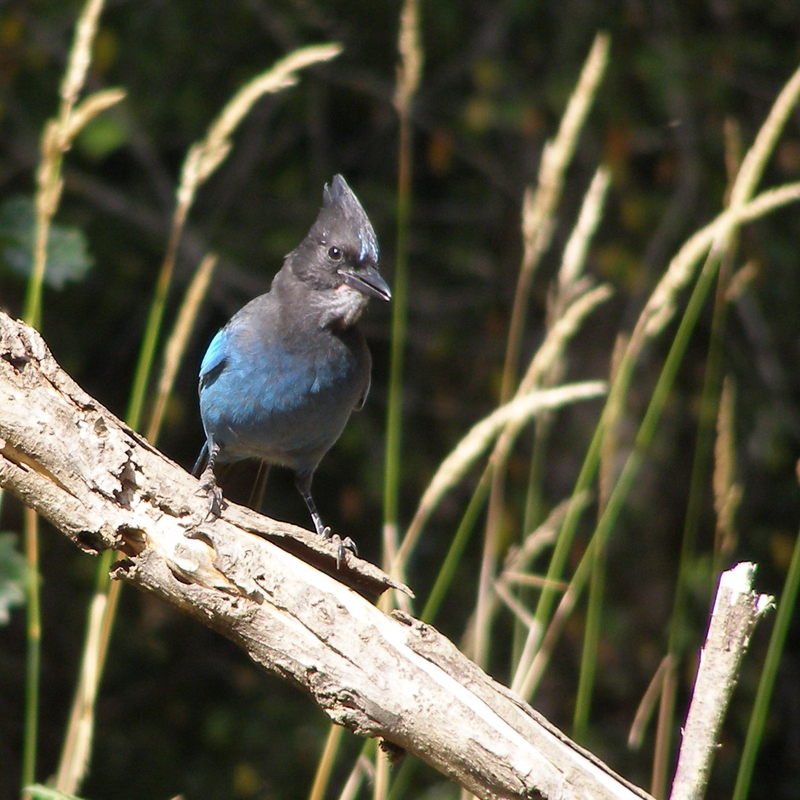 Yep, it's time to dust off those binoculars and prime the backyard bird feeders with seed and suet in preparation for the Great Backyard Bird Count , which asks bird watchers in the United States and Canada to count birds in their own backyards and communities. Garden Keeper Ana Marie is getting ready by studying up on bird identification. Sparrows are the the biggest challenge for her. There are about three dozen species of sparrows in North America. 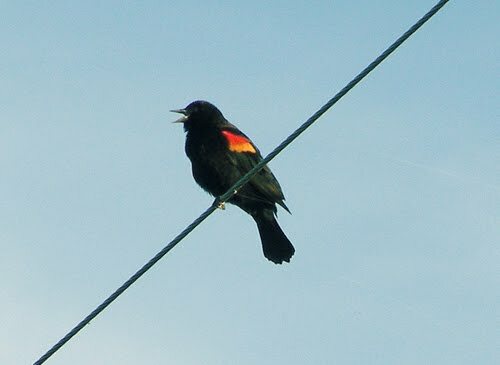 Try your hand at identifying the sparrows in these photos provided by the GBBC. Here are your choices: Savannah, Fox, Chipping, and Tree sparrow. You’ll find a couple of others as well when you head over to the answer page. Talk about a blended family! Canine cutie Katy may be outnumbered by Marilyne's four feline friends and Tommy's two black cats, but she still considers herself the luckiest dog on the block! Marilyne's daughter Heather explains that Katy dog spent the first two years of her life "neglected and abused, confined to a cage barely big enough for her to turn around in and located in a hot and dark garage in Florida. 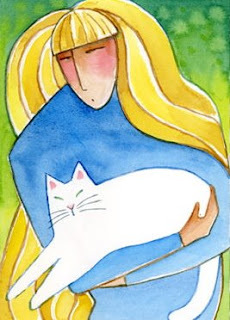 When Mom learned of her existence from someone that lived next door to Katy, Mom insisted she get Katy or she would report the family to Animal Services. (From what we've pieced together, we think that the husband had a violent temper, and that the wife probably put the dog in the garage 'for her own protection'. Katy is frightened of large men, and even growled at a big guy with a broom in his hands once.) Katy now lives the best life any dog could ask for, and she is the sweetest and most well-behaved dog I've ever known. Very smart. I consider her 'my little sister'. She and my dog Zook are best friends! 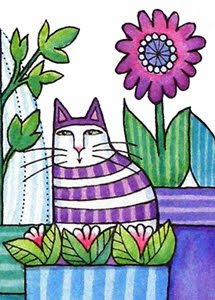 "The black and white cat playing guitar is Mittens. She is an old girl now, but she and her brother Georges were both found at my Mom's shortly after Hurricane Georges in 1998. Georges went to a different home, but polydactal Mittens became my Mom's first cat. 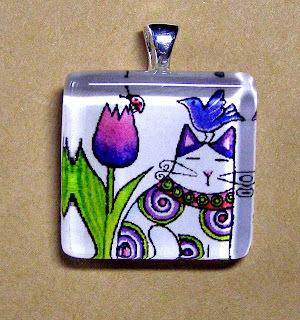 Mittens doesn't like other cats, but loves dogs, and loves music! She always jumps up with Tommy when he plays guitar. "On Mom's shoulders is Smudge (I named him). We trapped Smudge in a squirrel humane trap when he was just a little baby. He'd been crying under Mom's house, but wouldn't come out where we could grab him. After Mom caught him, we found Smudge had a bacterial infection that needed treatment and Mom was worried about Mittens being exposed to him. So I fostered Smudge for his first few weeks, as I was already treating a couple of kittens that I had taken in. Smudge's bacterial infection caused him to have a little "gassy" issue that led my boyfriend and I to nickname him 'Gaseous Clay'. "In Mom's lap on the right is Mee-chan (aka Junior). He was another rescued kitten. A few years ago, Mee-chan sneaked through a door just as Mom closed it, and his tail was cut off (*cringe*). So the poor guy has a 3/4 tail now. He's a lover. He loves everyone, cats, dogs, people- whatever. "On the left is the latest addition, Bobbi. I think he was probably about a year old when he was found, and was an unneutered male. So he has a big, masculine head. He was born without a tail. He can be a little standoff-ish with strangers, but loves Mom! "Tommy's two cats were also rescues. The one behind his shoulder is Muff, and she was his neighbor's cat. When his neighbor died, her son put Muff outside and Tommy began to care for her. The other cat is Midnight. She is very sweet with people, but very aggressive with other animals. She is an absolute nut! Hyper, always on the go. She showed up one day with one of the strays at Tommy's work." As you might be able to tell, daughter Heather is a devoted animal lover too! You can read all about her own "Zoo Crew" at her delightful blog Heather's Eden. 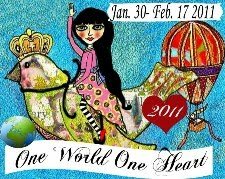 The One World One Heart blog event will end in just a few days and 874 giveaways will end with prizes going to lucky winners all over the world. 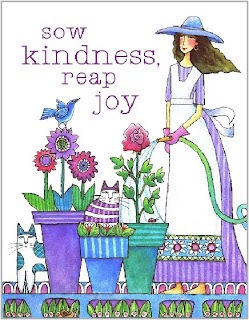 Of the hundreds of blogs I have visited, the best giveaway I've seen so far is the one offered by Cat Lady Heather on her blog Heather's Eden and is a true example of the spirit of "One World One Heart". Heather is an active participant in Kiva, which allows everyday folks to make micro-loans to entrepreneurs around the world to give them a shot at bettering their own lives. You loan as little as $25 to an individual that you select, who uses that money to expand their businesses or begin a new business. Heather is currently loaning money to a woman selling cosmetics in Bolivia, a Bolivian man trying to fix up his home, a woman who sells in the food market in South Sudan and an electrician in Ecuador. 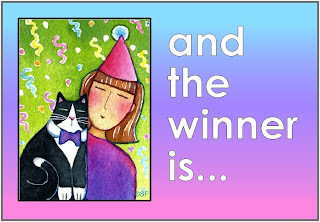 For Heather's OWOH giveaway, she will buy a $25 virtual gift card to Kiva for the winner to loan out to help someone else. 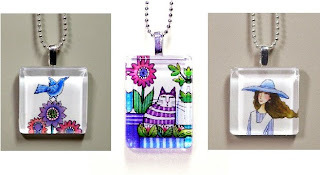 To enter this generous giveaway, visit Heather's OWOH blog post before February 17. 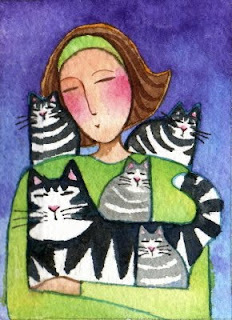 In the mean time, I am working my way through a list of over 800 participating blogs from around the world and "meeting" an amazing array of creative, funny, talented bloggers, many of whom happen to be Cat Ladies! 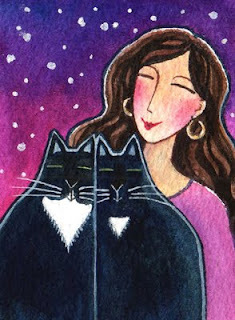 One such participant is the bewitching Cat Lady Wendy who writes an enchanting blog "The Year Of The Cats" that often centers around her two cats Bella and Sele. 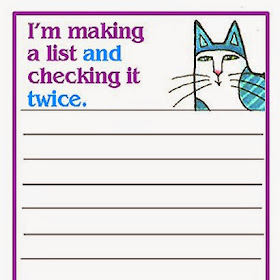 "I have always had at LEAST one cat in my life and one time I had six. 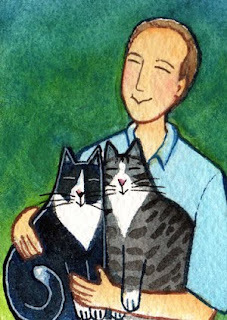 I am owned by two incred­i­bly 'indulged' cats. Miss Bella, who is all black with a white dia­mond patch on her chest, cool, sear­ing green eyes and a very diva like per­son­al­ity. 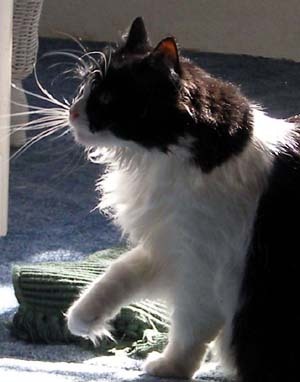 Her sis­ter and litter-mate, Sele is a com­plete oppo­site of Bella. 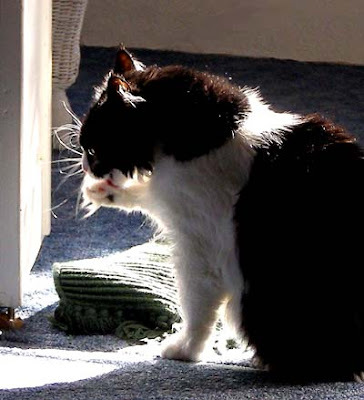 She’s a tuxedo cat and all she wants to do is play, snug­gle, eat and sleep. In that order. "Why do I love cats so much? It’s their magic and mys­tery. 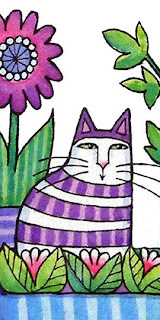 For ages cats have been con­nected to the moon and I love the oth­er­worldly side of cats that have taught me about intu­ition, magic and the fem­i­nine God­dess. 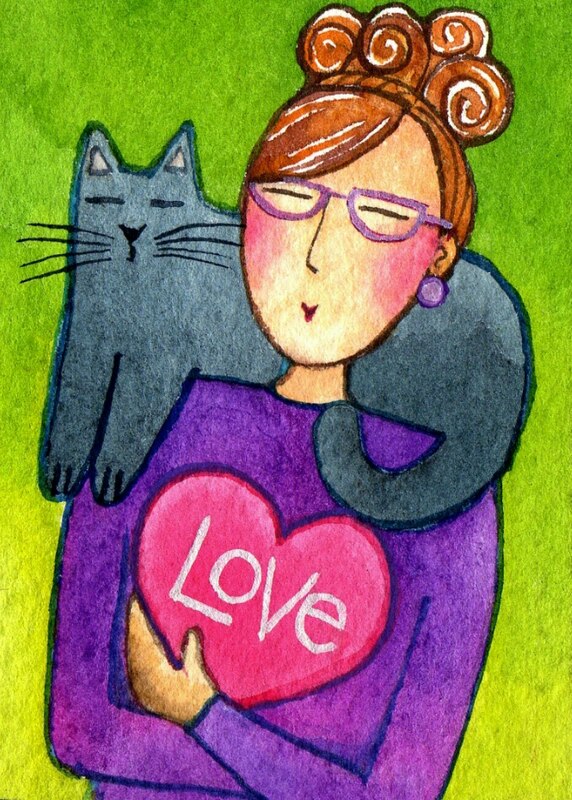 ...So, I decided I need to write this blog because of my love of cats, all cats and to explore, share and learn more about magic." 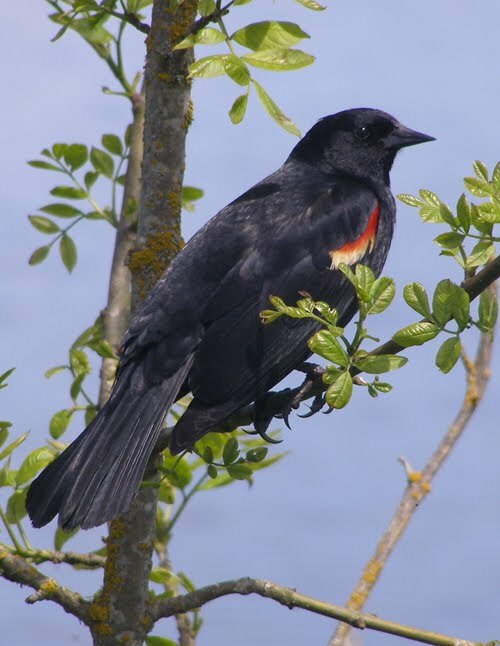 Some of the OWOH blogs require that you be an active blog writer to participate in their giveaway, however, mine is open to blog readers too (that means everybody!) . I have THREE giveaway packages this year, so hurry on over to this post and enter for a chance to win, if you haven't already. Thanks for visiting! There seems to be a mistake, however. I got a notice from Facebook that my baby sister is turning 53 today. I believe that must be some sort of typo. Perhaps they meant 35. That seems about right. She is my BABY sister, after all. 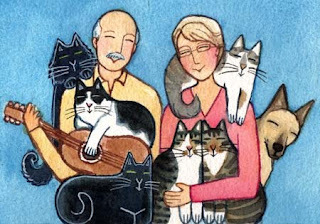 Carol and I have shared many things over the years, including a love for cats and dogs, art and watercolor painting, vintage collectibles and antiques. 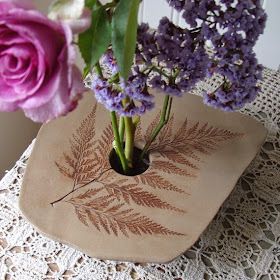 If you enjoy treasure hunting, drop by my sis's Etsy shop: Carol Mai's Vintage Delights. 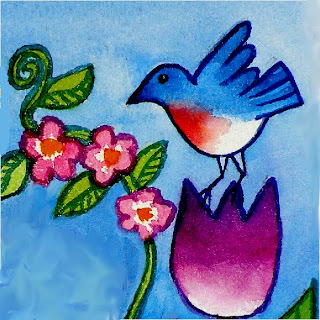 Be sure to take a look at her banner and you'll get a peek at one of her beautiful floral watercolor paintings! In the mean time, I need to drop Facebook a line and tell them to get their ages straight....No baby sister of mine could possibly be that VINTAGE yet! The children all stand (or sit) in a circle with their hands out, palms together. One child, called the leader or 'it', takes a button (usually provided by an adult) and goes around the circle, putting their hands in everybody else's hands one by one. In one person's hands they drop the button, though continue to put their hands in the others' so that no one knows where the button is except for the giver and receiver. The leader starts the other children guessing by saying, "Button, button, who's got the button?" before each child's guess. The child guessing replies with their choice, e.g. "Billy has the button! "...Once the child with the button is finally guessed, that child is the one to distribute the button and start a new round. Meanwhile, I've had a different kind of button on the brain. 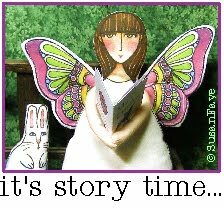 Earlier in the week, Mother Nature bestowed a nose-sniffle virus upon me (her little way of saying I need some time to relax), so I spent a lovely afternoon perusing dozens of the fascinating and beautiful blogs participating in the One World, One Heart blog hop. I became increasingly aware of the many cute sidebar buttons that many blogs feature, and I began to feel inadequate. That's right: in addition to suffering from a head cold, I had developed the dreaded blog button envy. Now, as someone who grew up in an era where the family had one black and white TV and you had to get up out of the chair and turn a dial in order to change the 8 channels, I inevitably struggle with any new technology/internet/code/formatting task that might arise as I strive to embrace the miracles of computers and the internet. Remember, learning something new, particularly something that seems complicated, is a way to stimulate brain cells and delay the onset of senility. At least that is my fervent hope! If you already have your own blog sidebar button to show off, please leave your link here in the comments! Year of the Rabbit or Year of the Cat? 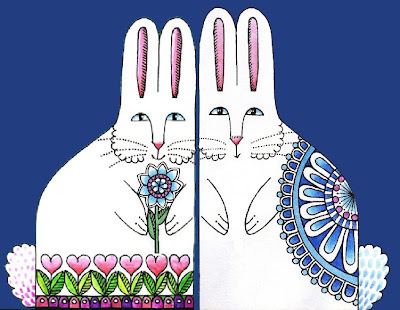 Rhonda Rabbit and Lorenzo Lapin are quite excited to note that today marks the beginning of the Chinese Lunar Year of the Rabbit. According to the Chinese Culture Center in San Francisco:" People born in the Year of the Rabbit are articulate, talented,and ambitious. They are virtuous, reserved, and have excellent taste. Rabbit people are admired, trusted, and are often financially lucky. 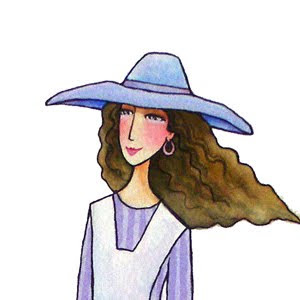 They are fond of gossip but are tactful and generally kind. 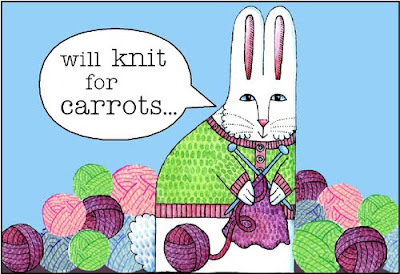 Rabbit people seldom lose their temper. They are clever at business and being conscientious, never back out of a contract. " "The Chinese animal signs are a 12-year cycle used for dating the years. They represent a cyclical concept of time,rather than the Western linear concept of time. The Chinese Lunar Calendar is based on the cycles of the moon...and the beginning of the year falls somewhere between late January and early February. " Lilly Cat thinks that is all well and good, but wants you to know that in the Vietnamese culture, their lunar New Year known as Tết Nguyên Đán also starts today. 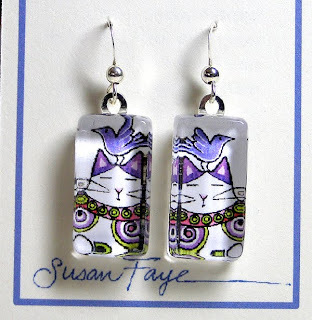 And you might be surprised to learn that they will be observing the Year of the Cat this year! Cat People born in this cycle are are "smooth talkers, talented and ambitious and will succeed in studies. They are in conflict with the rat. A cat person has a supple mind and patient personality and knows how to wait for favorable conditions before taking action. Cat hours are between 5am and 7am, when cats begin their prowling." Whichever you choose to celebrate, may you have a blessed Lunar New Year!! 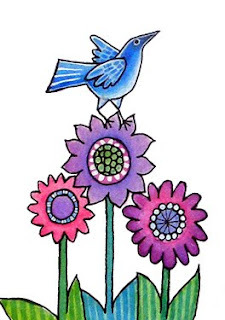 Now that all the hooplah is over and the official groundhog did NOT see his shadow (hooray for an early spring! ), Buttonwillow would like to take this time to send some Oregon sunbeams back to her snow-beleaguered friends to the East, in the hopes that it will help thaw things out a bit. 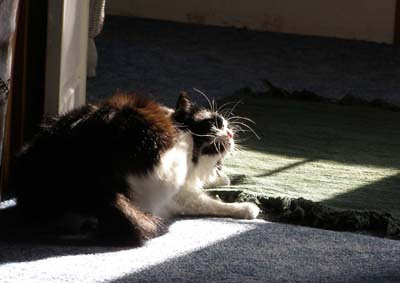 There's nothing like soaking up some rays, particularly when they make your magnificent whiskers glow. 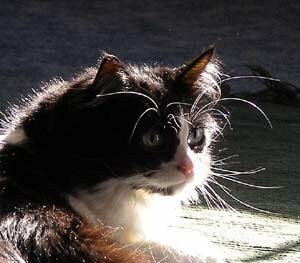 A little extra polishing, and these sparkling whiskers could blind someone. You may want to wear some eye protection if you plan to gaze at these blazing babies for more than a few seconds. How do you like this angle? Let's get some eyebrow action in here. 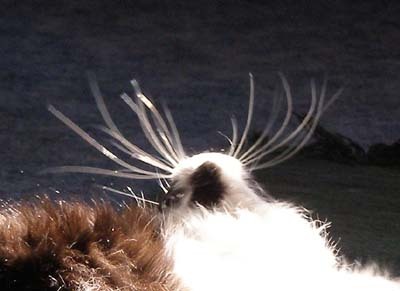 Whiskered walruses, eat your heart out. 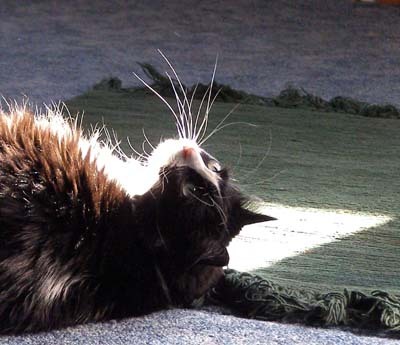 Here's hoping there are sunbeams in your day today, and if not, may you stay safe and warm as you snuggle up with your fur-blessed friends!